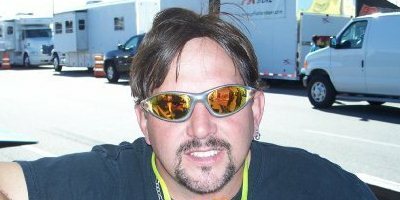 With the help of Tommy Grimes riding Ray Price’s Top Fuel Harley entry, the AHDRA/Screamin’ Eagle Championship Series set the 227 MPH pace for the rest of the 2011 Florida Bike Week with their season opener at Orlando Speed World this weekend. With a gloomy forecast for Sunday’s main event, everyone was anxious to get down the track as quick as they could. It turned out that the weatherman was dead wrong and we ended up with showers on Friday and two beautiful Florida days for qualifying and eliminations. Maybe it was just because it was the first event of the year, but there seems to be a ton of headlines from the event. Highlights include Doug Horne riding the Romine Racing/Horne Concrete stable of machines to victory in both the Screamin’ Eagle Top Fuel and Rush Racing Products Pro Fuel categories. The Croneberger/Schaeffer’s Harley-Davidson entourage performed flawlessly and took home the big trophy in three classes. Brad got AHDRA Super Sport and Bruce took Purvis Motorsports Hot Street and Right Quick Graphics Street Pro. And don’t forget Jeff Stevens on his brand new Screamin’ Eagle Draggin’ Bagger ride taking the win and going home with four (4) National Records! Willie G. and a few of his pals were in attendance Sunday to get their dose of nitro generated adrenaline before heading over to the beach. It is always great to have him show up. He likes racing as much as we do and he took the time to reminisce with the crowd a little during the Pro break Sunday afternoon. It must feel great to look out over that sea of motorcycles and know that you and your family had a hand in the designing and building of every one of them. AHDRA competitors packed it up in Florida and have a few weeks to make adjustments before heading to Tulsa, OK for the Mid-West Nitro Nationals at Tulsa Raceway Park on April 15,16 17. See you there! Get all the details in Kool Bike, Thunder Roads, and several other publications. It seemed like they were all there. Photo and video coverage is availableat Mike Davis’ (www.motolenzphotos.com) Moto Lenz website and Brian Williams (rawedgephoto.ifp3.com) Raw Edge Photography website. Run by run detail and information on upcoming events is available at www.ahdra.com or by calling 336-924-2095.